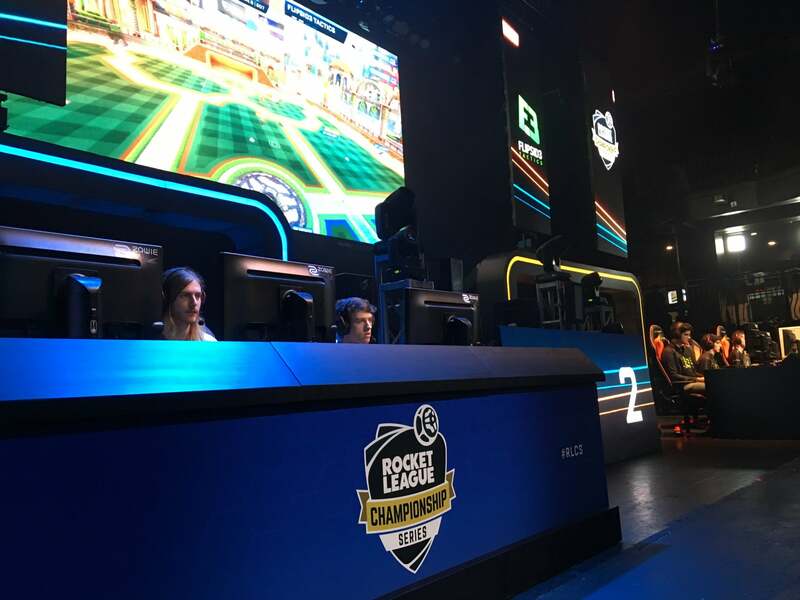 This past weekend saw the greatest Rocket League teams in the world meet at the sold-out Avalon Hollywood in California to battle for supremacy at the inaugural Rocket League Championship Series Live International Finals. More than one million viewers tuned in over the weekend to watch the RLCS event on Twitch, which was the largest-ever in Rocket League-viewing history! The first day’s matches of the RLCS LAN event played out mostly as expected with #1-ranked European team, Northern Gaming, taking down the #4-ranked North American team, Genesis, and NA #3, Exodus, to advance to the Upper Bracket Finals. #3 iBUYPOWER Cosmic (NA) turned heads by taking down #2 FlipSid3 Tactics (EU) in a dramatic back-and-forth opening match. The biggest shocker of the day was when #1 North American team, Kings of Urban, lost their opening match to #4 EU seed, The Flying Dutchmen. The loss put KOU in the lower bracket, where they would lose again to FlipSid3 Tactics — eliminating the team that many had picked to win the whole thing on the very first day. Following in Kings of Urban’s footsteps, #3, Mock-it eSports EU, would also lose their first two matches and find themselves knocked-out of tournament earlier than expected. Dark horse team, The Flying Dutchmen, who took down Kings of Urban in the first round before confidently exclaiming “We’re going to win LAN!,” found themselves in the Lower Bracket after losing to the surging, iBUYPOWER Cosmic. Unwilling to let their championship dreams die, the Dutchmen bounced back with a big victory over Genesis in the first match of Day 2. Flipsid3 Tactics would begin their Day 2 journey through Lower Bracket with a quick 3-0 win against Exodus before meeting The Flying Dutchmen in the Lower Semi-Finals. Flipsid3 would go on to win the series, 3-0. In the Upper Bracket Finals, iBUYPOWER Cosmic would defeat Northern Gaming to advance to the Grand Finals, while the Lower Bracket Finals went to Flipsid3 Tactics, who bested Northern Gaming to advance to the Grand Finals against iBP Cosmic. IBP Team Captain, Kronovi, and perennial all-star, Lachinio, were joined by late-substitute and eventual RLCS MVP, 0ver Zer0, to defeat those longtime rivals at Flipsid3 Tactics in an epic best-of-seven series that saw IBP take the title 4-2. 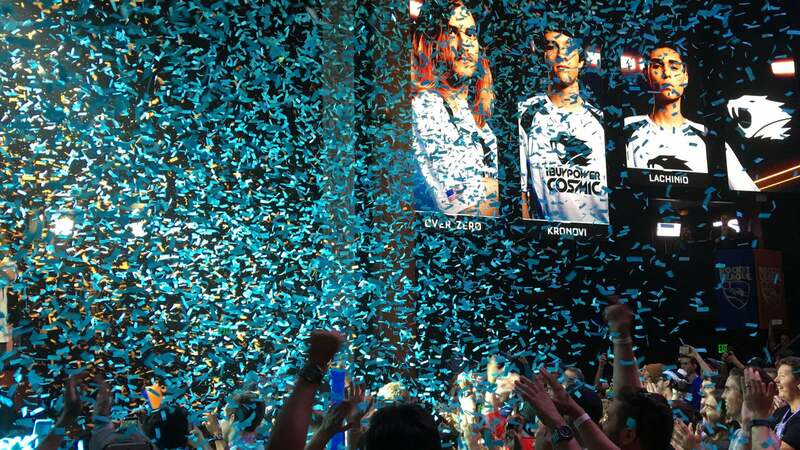 Huge congratulations to iBUYPOWER Cosmic, whose stunning victories over several higher-ranked teams brought them the gold in the first-ever Rocket League Championship Series! What’s next for the new champs from here? Find out when RLCS returns later this year! Thanks to all the teams and our community for supporting the event!